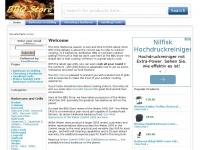 In total 2 links were found which refer to Bbqs2go.co.uk. 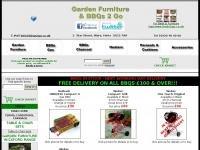 The most important link sources for this website are Cane2go.co.uk and Beds2go.co.uk. 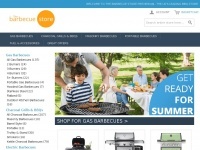 The homepage of Bbqs2go.co.uk and the subsite are most referenced by other websites. 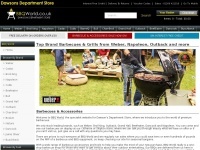 The table shows the most important links to Bbqs2go.co.uk. The table is sorted in descending order by importance. 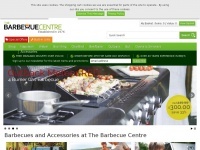 The table shows websites of Bbqs2go.co.uk, which are often linked by other websites and therefore they are classified as important content. Birstall.co.uk - Birstall Gar­den Centre On­li­ne - Gar­den Fur­nitu­re, ..
Bbq-store.co.uk - Bar­be­cue Sto­re|BBQ Sto­re|Bar­be­cue|Grills|Bar­be­cue ..
Bbqworld.co.uk - Get the best We­ber's and Ot­her Bar­be­cue Acces­so­ries | ..
Bedsbbq.co.uk - Gas & Char­coal BBQs UK, Acces­so­ries & Spa­res from ..
Barbecuestore.co.uk - Huge Ran­ge of Gas BBQs, Char­coal BBQs and more!